The NTDA is pleased to advise, that following the huge success of the 2018 NTDA Tyre Industry Golf Day, the 2019 event will take place at a new venue namely Rudding Park in Harrogate on Tuesday 25th June 2019. A privately-owned luxury hotel, Rudding Park has 90 bedrooms, a spa, two restaurants and a kitchen garden, private cinema, two golf courses and conference and events space. Set in 300 acres of landscaped gardens and woodland, Rudding Park is one of the most beautiful Harrogate hotels. The excellent golf courses were designed by renowned Open Championship golf course architect Martin Hawtree, to provide a risk and reward challenge for novice and experienced golfers alike. The Association has ‘blocked’ a number of rooms at Rudding Park. A special NTDA rate has been negotiated and all of the amenities are available to enjoy a comfortable night’s sleep. A variety of other hotel options, for all budgets, are available close by. Accommodation must be booked directly and is not being co-ordinated by the NTDA. The Competition will be divided into different divisions and there will be special prizes for “nearest the pin” and “Longest Drive” which means that golfers of all abilities will be welcome. The event is open to Tyre Retailers, Wholesalers, Manufacturers, Suppliers and guests so it will present a great opportunity to meet with, and enjoy, the company of golfers from a wide cross section of the Automotive Aftercare Industry. 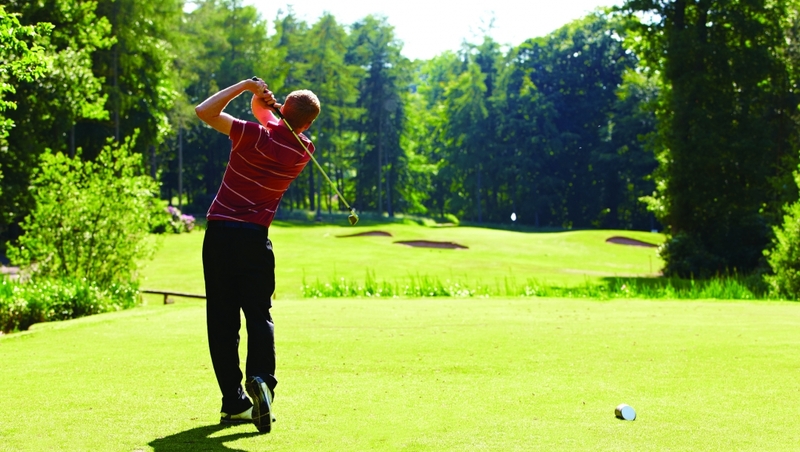 The cost of the entire golf day is £110+VAT and includes the traditional bacon rolls and coffee on arrival, starter on the 1st tee, basket of balls for the driving range, Rudding Park Resort Pack an evening 3 course evening meal and much more. Non-golfers are also most welcome to attend the evening charity dinner at £55+VAT. A raffle in support of the NTDA’s chosen charity The Wheelwrights’ Charity 2020 Appeal will also take place and the Association would be most grateful for all prize donations. Any surplus generated at the golf day will also be donated to the charity. Small sponsorship options are also available. Please share this news with your ‘golfing’ colleagues!